About Us - Seven Pearls Foundation, Inc. The Seven Pearls Foundation, Inc. was established December 2004; and received its permanent 501 (c) (3) status in 2008. The Foundation is headquartered at 1000 Southhill Drive, Suite 201 Cary, NC; is registered with the State of North Carolina and the Internal Revenue Service. The Foundation is comprised of the President & CEO, one representative from each of the five regions of Sigma Gamma Rho Sorority, Inc., Sergeant-at-Arms, Legal Counsel, and Treasurer Emerita. Additionally, the Foundation has identified a corporate group who serve as an extension of the Seven Pearls Board. 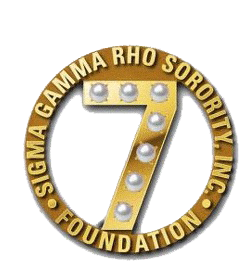 To develop strategies that promote a positive service image of Sigma Gamma Rho Sorority, Inc.
To protect the real property of Sigma Gamma Rho Sorority, Inc.